With the Australian Bureau of Statistics (ABS) publishing its House Price Index on the 04 August and its Average Weekly Earnings Index yesterday I can again look at affordability of Australian Property. 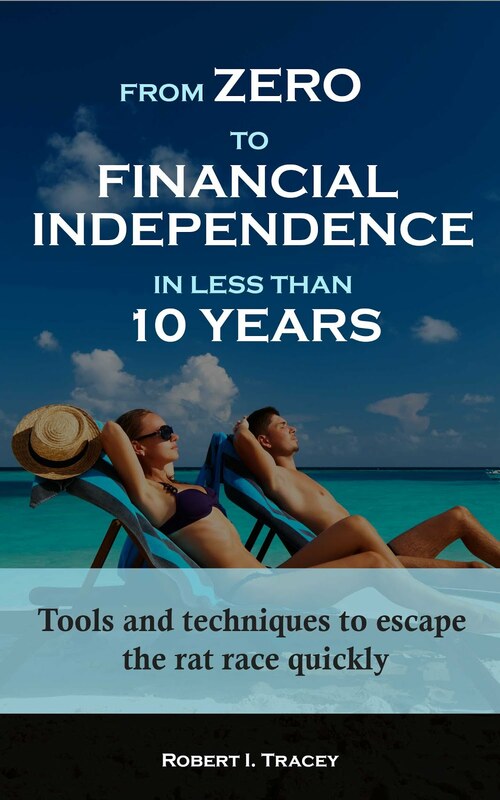 Of course regular readers will now that I have an interest in Australia as with a fair wind 6 years from now it could be a “retirement” location for me. Using the weighted average of eight cities (Sydney, Melbourne, Brisbane, Adelaide, Perth, Hobart, Darwin and Canberra) property is still booming with nominal prices up 18.4% year on year. That really is a big number if you don’t yet own a house and means that house prices will double in less than 5 years. Quarter on quarter we see nominal increases of 3.1%. Brisbane prices (my likely retirement location) are a little more subdued with nominal prices up 8.5% year on year and 0.3% quarter on quarter. Unfortunately Persons Total Earnings are up a still significant 6.4% year on year while Persons Total Full Time Adult Earnings are up 5.3% meaning houses again just became more expensive for the average person when looking year on year. Quarter on quarter earnings are up 0.3% and 0.7% respectively meaning for the quarter Brisbane affordability is treading water by one earnings metric and improving by the other. As always let’s now delve a little deeper and correct for inflation. 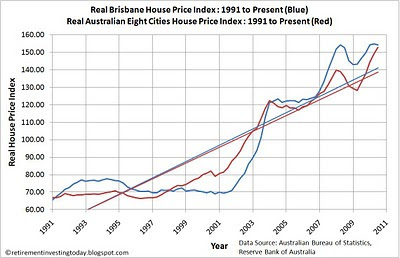 Today’s 1st chart details Real (adjusted for the CPI) Brisbane and Real (again adjusted for CPI) Australian Eight Cities House Price Index taken from the ABS catalogue 6416.0 since 1991. This Index was reset in 2003/2004 and so I have “corrected” pre March 2002 data by taking the ratio’s of the pre and post September 2003 to June 2004 data as a multiplier. This chart carries data only until June 2010 and clearly shows a nice dip at the start of 2009 for both indices. Unfortunately since then Eight Cities prices have gone ballistic. It’s interesting though to look at Brisbane which has now converged with the Eight Cities. 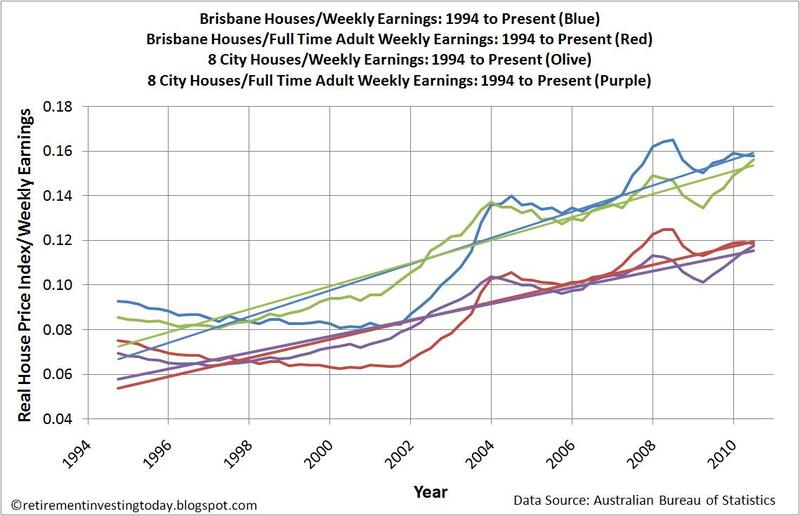 In fact quarter on quarter Real Brisbane house prices fell by 0.4%. Is this just an anomaly or a sign of things to come? The 2nd chart follows the usual form and shows Real Annual Changes in price from 1995 to present. 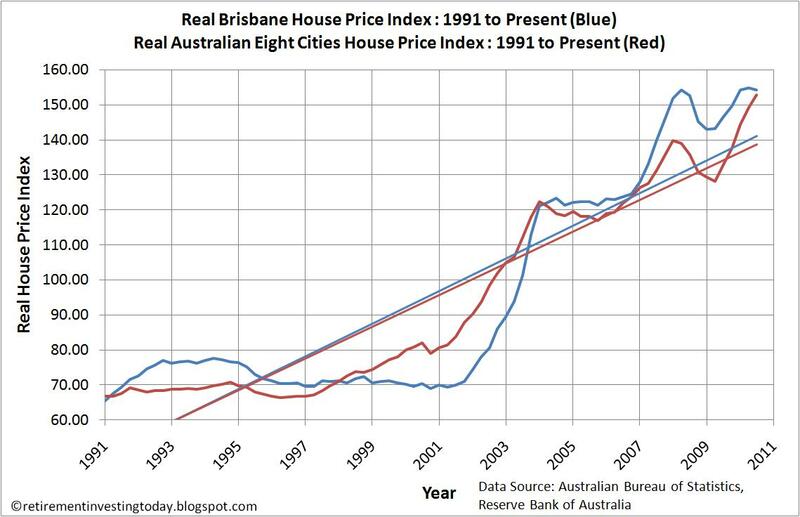 In Real terms year on year Brisbane has seen real prices rise by 5.3% (down from 8.2% 3 months ago) and the Australian Eight Cities has seen real prices rise by 14.9% (down from 16.4% 3 months ago). 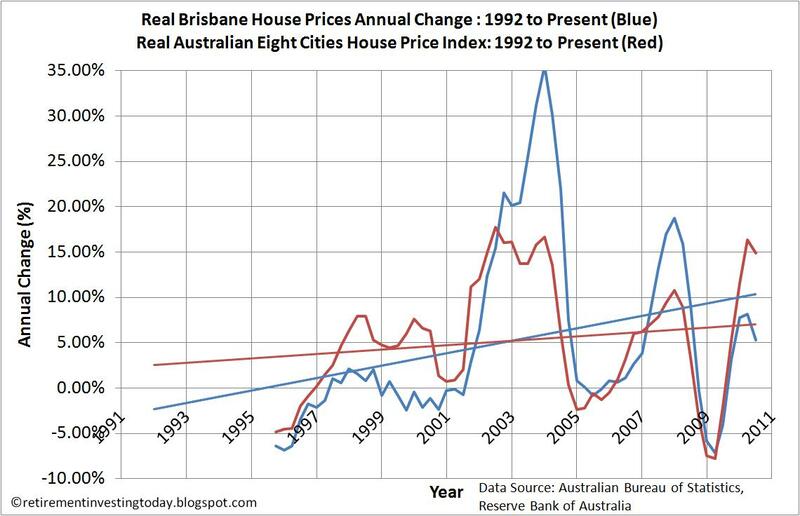 Comparing this in real terms with data since 1995 we see Brisbane with average increases of 5.3% and the Australian Eight Cities also with average increases of 5.3%. The 3rd chart continues to show the effect of house prices rising at a rate greater than earnings. 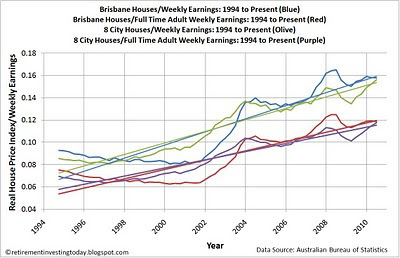 Even though Brisbane looks to be stalling this quarter in relation to earnings we still Brisbane houses when compared to Adult Full Time Weekly Earnings sitting at 0.119 compared to the previous low of 0.063 and the Median Eight Cities houses sitting at 0.118 compared to the previous low of 0.064. This type of shift is just not sustainable but when/if will the market return to a more sustainable equilibrium. 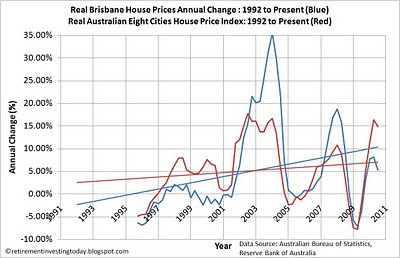 The Economist seems to agree with me that Australian house prices are overvalued suggesting an overvaluation of 61.1%. This is the worst country overvaluation from their 19 country listing. I still have plenty of time before I look to move to Australia. Will it stay inflated with affordability continuing to fall relentlessly or is the Brisbane quarter on quarter prices the turning point with affordability about to start improving. 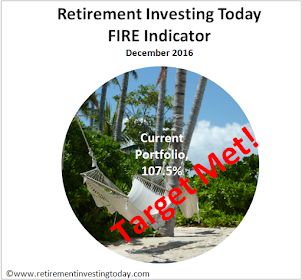 Only time will tell but rest assured Retirement Investing Today will be watching.